1 Watch = $65 (there is very little mark up on these watches). 1 watch + 1 DOGS T-shirt = $75 (a $30 savings). 1 watch + 102 Dachshunds book = $150 (a $50 savings). 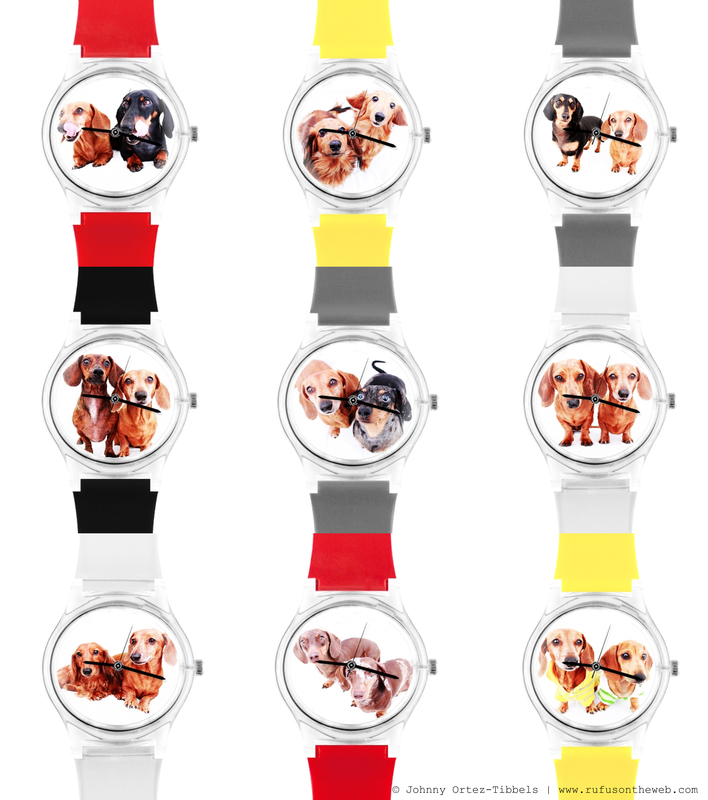 1 watch + 102 Dachshunds book + 1 DOGS T-shirt = $175 (a $65 savings). 1 watch + 102 Dachshunds book + 1 DOGS T-shirt + ROTW blanket = $250 (a $75 savings) → and we ONLY have ONE BLANKET in stock. We only have 9 watches available and limited inventory of the tees and books. The watches will go on a first come first serve basis. Please indicate your top three choices and I’ll update this post as appropriate. All donations include 2-day UPS shipping so if you act soon you can ensure that your doxie gifts arrive in time to be wrapped and placed under the tree. Remember you’re not buying a watch, T-shirt or book but instead making a tax-deductible donation to the charity that champions the breed we love and forwards our mission of community outreach and education. As a token of our thanks you get these limited edition, one-of-kind, collector’s items guaranteed to make any wiener dog fan smile. Thanks in advance for the consideration. We appreciate your continued support. This entry was posted in 102 Dachshunds and tagged #charity #fundraiser, #Christmas, #dachshund, #GiftIdeas, doxies. Bookmark the permalink.